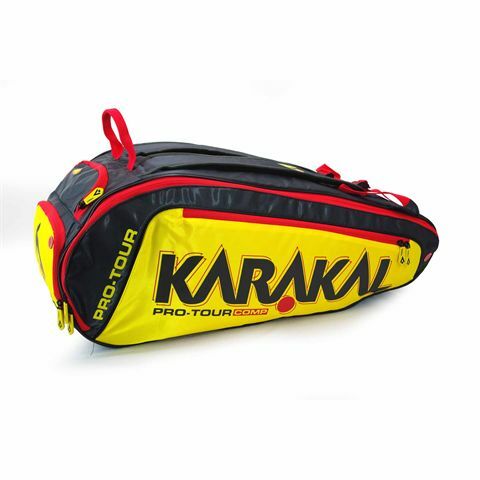 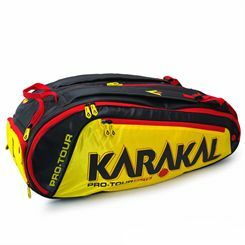 A stellar choice for competing players seeking enough capacity to store a hefty amount equipment, the Karakal Pro Tour Comp 9 racket bag features a large central compartment for clothes, towels and other essentials, as well as two racquet compartment which can hold up to nine frames easily. 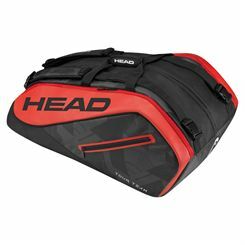 Also, there is a side compartment – ideal for accessories, nutrition and personal belongings, whilst the wet pocket can be utilised for dirty garment or even a pair of court shoes if you wish to store them in a separate fashion. 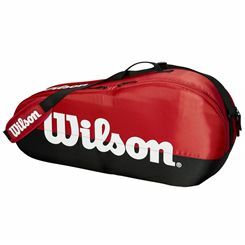 The racquet bag offers an additional small valuable pocket and dedicated for goggles, soft-lined pocket. The bag provides a fresh, moist-free interior with special breather buttons, and ensures comfortable carrying experience with adjustable backpack straps or a carry handle. 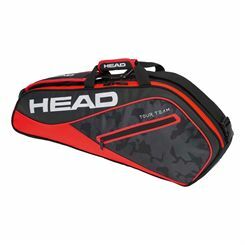 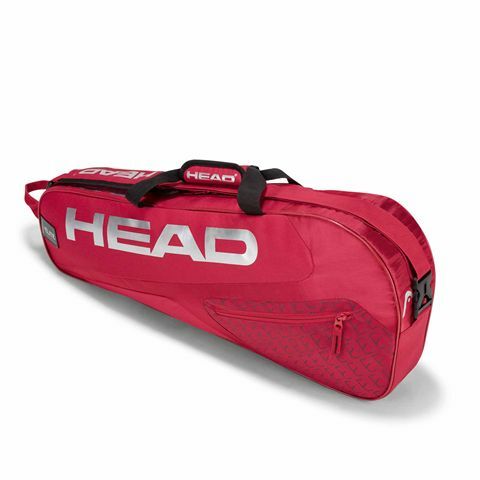 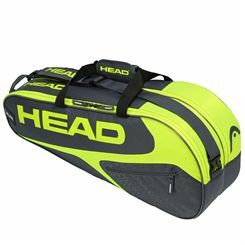 Stand out on your way to the courts using the Head Tour Team Combi 6 racket bag with two spacious main compartments and a stylish, sleek design. 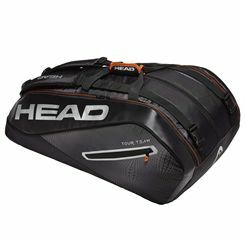 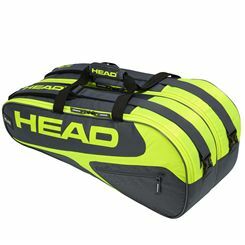 This practical bag is perfect for a player who doesn’t want to be weighed down and offers capacity for up to 6 rackets. 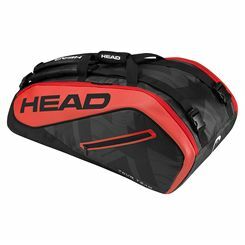 One of the compartments features Climate control technology+ technology to make sure your equipment is safe from extreme temperatures and there is an outside zipped pocket ensuring quick and easy access to the necessities. 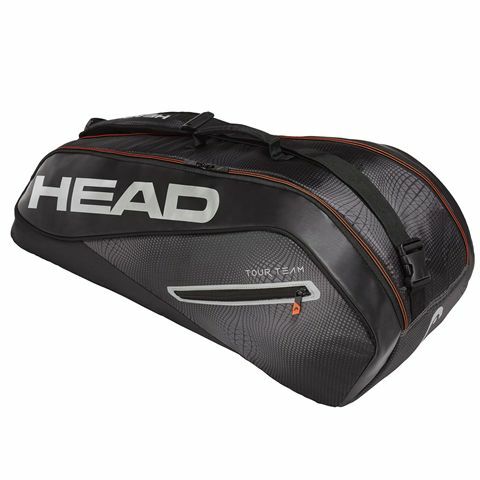 The bag is lightweight yet solid and durable and has an inside mesh pocket for accessories. 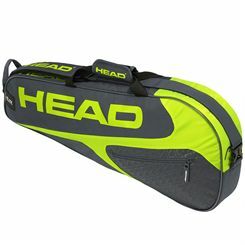 It can be comfortably carried using a carry handle or over the shoulder with a padded and adjustable shoulder strap. 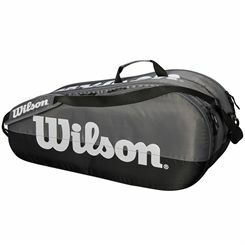 Offering an ample capacity to keep your necessities in proximity perfectly organised, the Wilson Team 6 racket bag is a stunning looking choice with block textured exterior that provides space for up to six racquets due to 2 large main compartments. 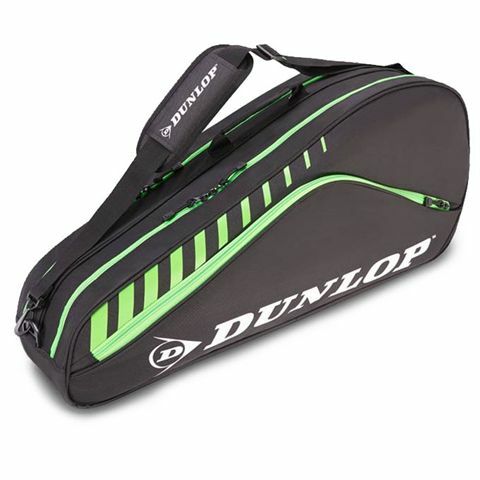 The bag is excellent for storing towel, accessories and other essentials thanks to two huge external pockets, and it’s very easy to travel with on and off the court thanks to the padded, adjustable shoulder strap or carry handle. 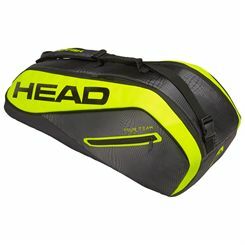 The bag is a very functional and ensure comfortable tennis or squash equipment management, plus it’s made from durable fabrics to last many training sessions and court gateways. 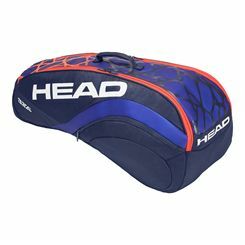 Here at Sweatband.com you'll find a superb range of Squash bags and racket bags from all the top brands including Ashaway, Prince, Dunlop, Head, Tecnifibre and more. 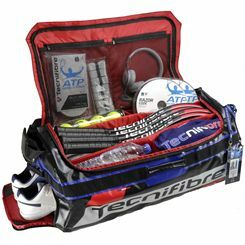 Available at discounted prices with fast delivery and a friendly service.